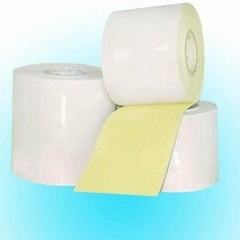 Shanghai Kuoxuan Gummy Products Co., Ltd is a manufacturer that specialized in producing series of self-adhesive labeling mateirals, located in Shanghai, China. 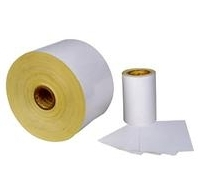 Our products include: Glosy cast coated sticker paper, semi-glossy art sticker paper, wood free sticker paper, craft sticker paper, fluorescent sticker paper, aluminimum sticker foil, PVC laser film, PET film, glassine, release paper, etc. 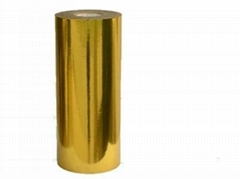 They are suitable for flexography printing, etc. 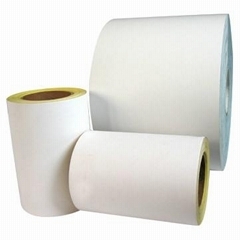 Their application: Office labels, Bar code labels, Colour printing self-adhesive paper, Medicine labels, Box labels, Wear films, Secure Anti-fabricate laser films, Car/Motorcycle/bicycle Applique, Beer, Wine, Cosmetic, Electric Daily and Industry labels, Super-market price-tag, Noticable labels, Wine labels, etc. 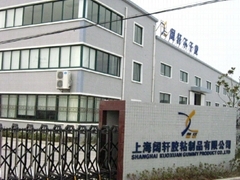 We have been dealing with self-adhesive manufacturing for more than 20 years, we have abundant valuable manufacturing experience and a group of professional work team, In order to improve our products competitiveness and serve global clients better, we equiped a whole set of advanced machines in 2007.